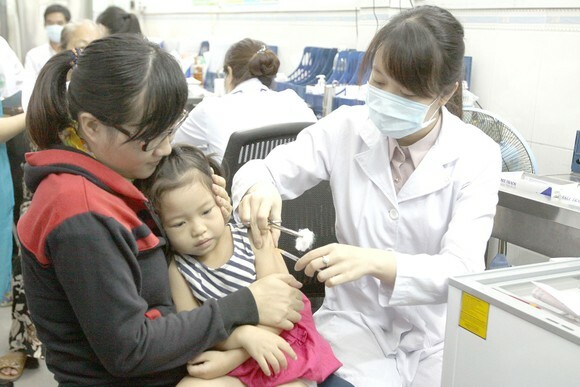 As per the Preventive Medicine Department’s statistic, Vietnam has up to 10 million infected patients with hepatitis B, and one million are living with hepatitis C; worse, the number of these patients is escalating. Meanwhile patients with hepatitis B virus are incurring higher-level hospital charge and undertake lifetime treatment, there has been no vaccine for patients with hepatitis C virus who must pay their treatment fee. According to the World Hepatitis Alliance, 325 million people accounting for 4 percent of the world’s population were living with viral hepatitis. It is estimated that 57 percent of infected people will develop cirrhosis and 78 percent of them will have liver cancer. Globally, 1.34 million people in the world die of viral hepatitis annually. The Southeast Asian country has the highest rate of hepatitis in the Pacific and onerous burden of the disease. Head of the Community Health Research Development Institute (CHDI) Dr. Phan Thanh Hai said that viral hepatitis is a common infection. Infected people has no specific symptoms meanwhile serious cases can suffer liver failure or chronic hepatitis, cirrhosis and liver cancer. Early prevention of hepatitis B and C will reduce liver cancer after 20 years, said Dr. Hai. Head of Bach Mai hospital ‘s Infection Ward Dr. Do Duy Cuong said that over 75 percent of people living with hepatitis C are at risk of suffering chronic disease without timely treatment. Lately, health sector made remarkable progress in preventing and treating the disease. Mass vaccination helped reduce the infection rate especially amongst children. Medical facilities have made good improvement in performing liver transplant ; success rate is equal to that in the world. However, people with viral hepatitis shoulder the heavy burden of the disease while insurance agency has not covered the fee. Deputy head of the Administration Medical Service Nguyen Trong Khoa said that it is a challenge for treatment because 90 percent of infection has not been detected. People find it hard to get access with testing because many medical clinics are unable to carry out tests. Moreover, drugs are quite expensive; therefore, many people can’t afford the drugs. Merely big well-equipped hospitals can treat the disease. Medical experts said that in addition to increasing information of the disease for doctors and nurses, residents , spending on testing equipment is also needed in grass-root clinics. More importantly, the Ministry of Health must add more drugs against viral hepatitis into list of medicine covered by insurance agency so that poor patients have chance of being treated. Mr. Khoa added the Ministry has allow circulation of several drugs against hepatitis C. Plus, the ministry has liaised with giant pharmaceutical firms about production transfer to made affordable drugs to help poor patients to access to it.